The People’s Democratic Party presidential candidate, Atiku Abubakar, has taken his campaign to Britain, presenting his ideas while faulting the tenure of Nigeria’s incumbent president Muhammadu Buhari. Atiku, who will contest the February elections against Buhari and over 50 candidates, wrote in UK’s Daily Express an article titled “Beyond Brexit – Nigeria wants a new trade deal with Britain”. 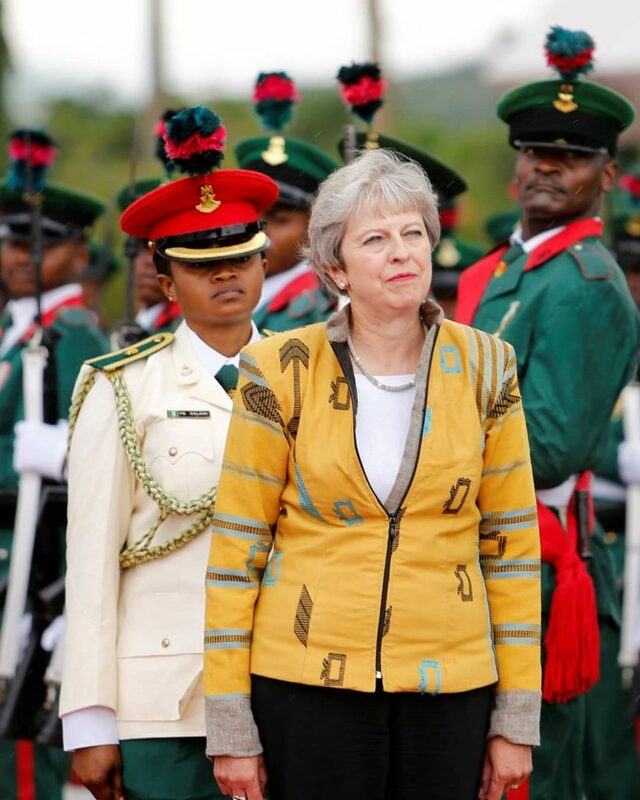 Britain’s Prime Minister, Theresa May, visited Nigeria in August 2018 to discuss trade deals and economic partnerships and to sign defence and security partnerships. She also pledged to assist in bolstering the rule of law and in the fight against organized crime. However, Atiku stated in the article that while the trade deals and partnerships are welcome and necessary, Buhari’s government cannot deliver on the deals. The former vice-president pitched that a change was necessary if Africa’s most populous country is to progress, hence, deliver on the deal. With the possibility of the United Kingdom leaving the European Union, May sought to improve commercial links and trading opportunities between Nigeria and Britain in her three-day trip to Africa. The UK looks to help development in Africa and take a greater market share amidst competition from the US, China and France. However, Atiku believes that the current administration’s handling of the country is a clog in Britain’s trade routes into Nigeria. “In the four years of President Buhari’s Administration, Nigeria has regressed by almost every domestic and international metric. We have fallen in the World Bank’s Ease of Doing Business report; we have fallen in Transparency International’s Corruption Perceptions Index; we have fallen in the World Justice Project’s Rule of Law Index. “The Federal Government, the Nigerian Election Commission (INEC), and local and State officials must understand that the international community is watching and will not accept anything less than a fully free and fair election. Buhari became president in 2015 with the promise of a strong anti-corruption drive but there are talks of his anti-corruption campaign being selective and partisan against the opposition parties. “A real anti-corruption process is required so that Nigerians, and foreign investors, can have confidence in our domestic laws, not show trials perpetrated as ‘crackdowns’ on corruption, where corrupt cronies were allowed to flourish,” Atiku said.